So beware! 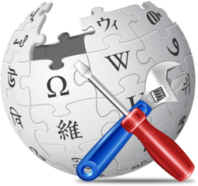 Until Wikipedia can be reformed or replaced, it is essential to treat its skeptic-infested pages with skepticism. Dive deep with Rome Viharo as he details his ongoing, multi-year experience with dodgy editors on Wikipedia. Also give a listen to Rome's interview on Skeptiko. "... this entire narrative is my personal diary, a journey through misinformation, disinformation, fake encyclopedias, sock puppets, catfishes, gaslighting, digital wildfires, trolls, stalkers, impersonators, social propaganda, edge lords, flag waving, blackmail, astroturfing, and “joe jobbing” occurring on Wikipedia and the broader web." "When collaborative editing devolves into mob mentality it is not just the individual being abused who suffers, it is everyone who trusts in the integrity of Wikipedia.... The body of editors who are dominating Deepak Chopra's biography page are a dozen or so skeptics who are so extreme in their views that they resort to online activism, many of whom consider the concept of spirituality or a mind-body connection to be a threat to human intelligence. ...These editors are no more empowered than any other volunteer editor, but their ideological zeal and willingness to viciously attack any opposing editor has driven off most impartial editors. ...Behind this radical contrast lies the online battle between those who want to publish a neutral perspective and those who want to publish their own perspective." "As the Guerrilla Skeptics have demonstrated, Wikipedia can easily be subverted by determined groups of activists, despite its well-intentioned policies and mediation procedures." "In theory, anyone can contribute to Wikipedia articles and anyone can propose a new policy or rule. In reality, Wikipedia functions as a largely closed community, using procedural knowledge and a sort of passive-aggressive resistance to deter outsiders." "Because Wikipedia is so unprecedented, I cut it a lot of slack, but precisely for that reason, it faces unanticipated dangers and no easy solution." "In a nutshell, it appears that the folks at Wikipedia have a problem with a fairly new sort of therapy that I practice and find helpful for certain patients."